No Limit Hold'em Microstakes Strategy - Casino Answers! Many players complain that the micro stakes are too loose to profit from. They insist that people at these stakes play so badly that they can’t earn any solid returns. This is a total fallacy; you’re supposed to be making money from these types of players. Your poker play just needs to boil down to the basics. 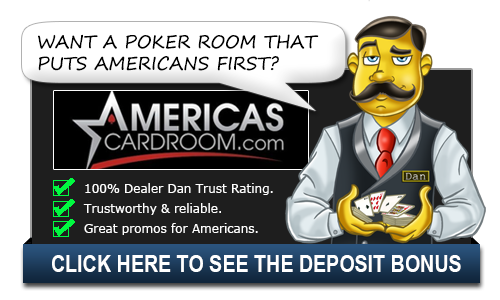 Nothing fancy; your opponents won’t grasp your “advanced” poker plays. The only requirement at these levels is patience and aggression. That is, you’ll need to value bet your hands. If you hit the flop, bet it. If your opponent comes over the top, recognize that he has a hand, and isn’t just bluffing. That isn’t to say people in the micros won’t bluff, I’m just saying that more often than not, these inexperienced players will play quite straightforwardly. The idea that playing tight is right is especially true in the micros. You’ll be surprised at the calls you’ll get sometimes when raising 4-5 times the big blind pre-flop. This brings me to another point: bet when you hit. Since the fish will call your huge raise with inferior hands, they sometimes hit, or partially hit, the flop. Most of the times they’ll need a connector to finish their straight, or a suite to fill their flush. You don’t want to give them the proper pot odds to call. Don’t slow play, just value bet it. Another pitfall for micro players is not making proper bets. Over betting pre-flop is a huge gamble. Try not to go all-in on a coin flip, especially if you’re unsure of your hand. Also don’t overvalue top pair. Be constantly aware of the board and try and put your opponents on a certain range of cards. If you consistently follow these guidelines, your micro play will improve drastically. The simplest answer is usually the best one. This is especially true in low stakes poker. If you hear the sound of hooves, think horses, not zebras. That is, don’t put your opponent on a triple-psych-out bluff, or the like, if they re-raise you. Basically, just play proper poker; raise your good hands, fold the bad ones. Sit back and wait for premium hands, and drive them hard when they come. Remember, your profits come from bad players. You want them to be extremely loose, calling your pocket aces with inferior cards. The key is to play proper poker. Don’t slow play when you hit. Utilize continuation bets, but don’t bluff two or three times in hopes of forcing a fold. Bad players will rarely fold. Keep these simple tips in mind and you’ll be moving up the stakes in no time. As you move up the level, the play will get a bit more sophisticated. Still, you’d be surprised to see how often playing a tight-aggressive style works throughout most of the levels. It’s not until you get to the uber-rich areas that you need to count on more sophisticated play styles.